Getting Real about Race. Getting Free from the Fears and Frustrations That Divide Us. Can it ever get better? This is the question Benjamin Watson is asking. In a country aflame with the fallout from the racial divide--in which Ferguson, Charleston, and the Confederate flag dominate the national news, daily seeming to rip the wounds open ever wider--is there hope for honest and healing conversation? 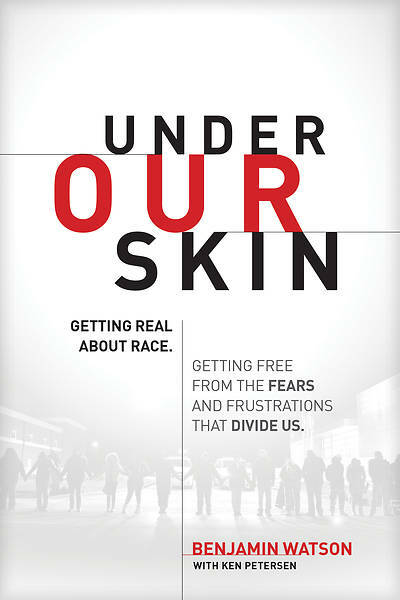 For finally coming to understand each other on issues that are ultimately about so much more than black and white?An NFL tight end for the New Orleans Saints and a widely read and followed commentator on social media, Watson has taken the Internet by storm with his remarkable insights about some of the most sensitive and charged topics of our day. Now, in "Under Our Skin, " Watson draws from his own life, his family legacy, and his role as a husband and father to sensitively and honestly examine both sides of the race debate and appeal to the power and possibility of faith as a step toward healing.